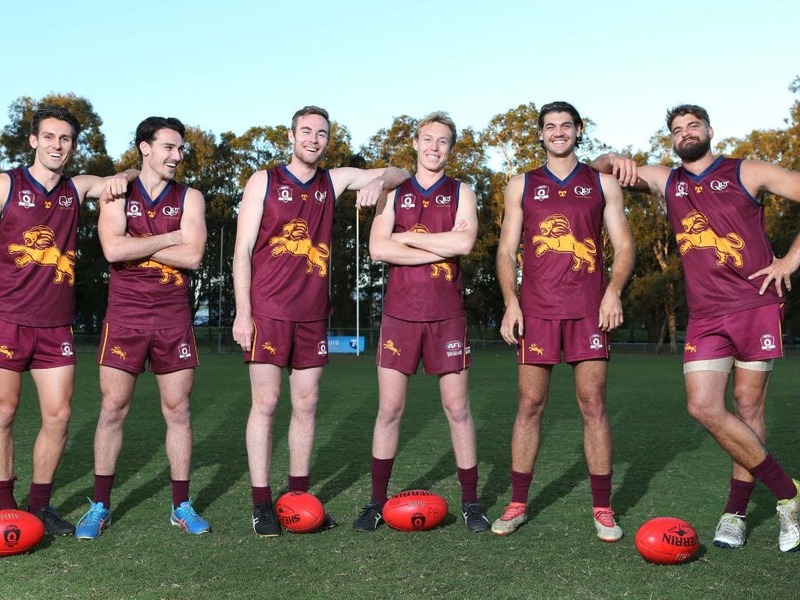 With the 2007 Premiership Reunion in full swing, there was an air of excitement at Salk Oval on Saturday as the Lions prepared to host the Western Magpies in the QAFL Match of the round. 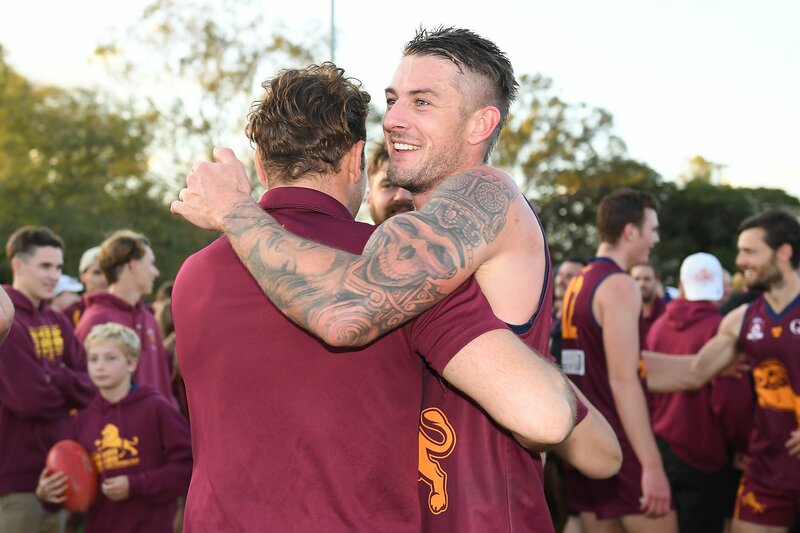 The 2007 Premiership players gathered in the rooms before the game, and the Captain of that year, Matt Carroll addressed the current playing group and spoke of their past glory as Premiership players for PBC, how they went about it and what it meant to them. 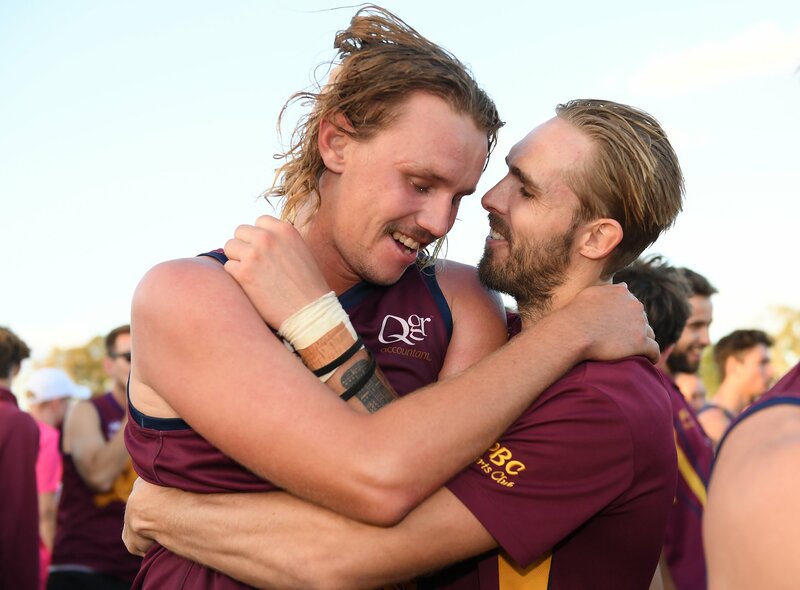 With the 2007 team winning the flag undefeated and with Carroll, a 3 time Premiership player with PBC and Captain of the of both the 2009 and the 2007 Premierships, this was surely an inspiration to the team. Come game time the Lions were ready to go but wayward kicking at goal saw them with only 5 points on the board as the Magpies eventually scored the first two goals of the game. 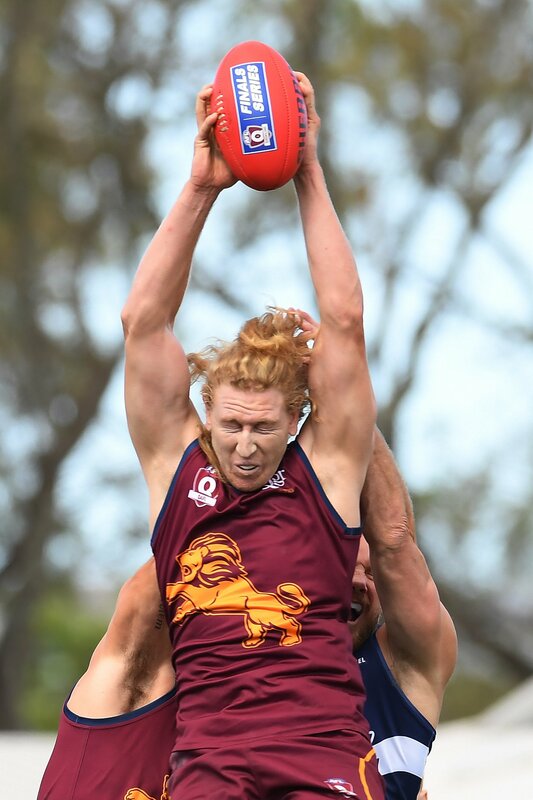 This spurred the Lions into action and they answered with 5 goals before quarter time. Taking a 22 point lead into the first break. 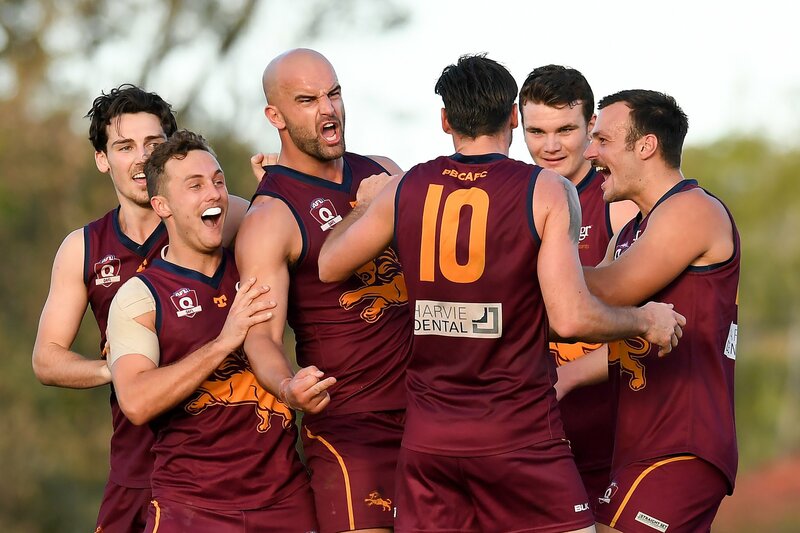 From there it was mostly one way traffic as the Lions increased their lead at every break and ran away with a huge 93 point win over the 4th placed Magpies. 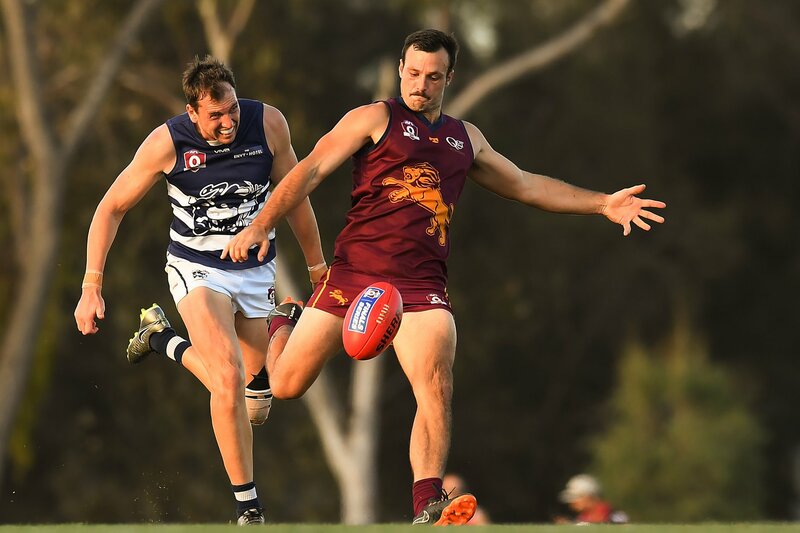 Usual suspects in the midfield were again prominent for the Lions as they dominated the stoppages. Jake Dignan returning to his best form with Jesse Derrick and Jason Burge again demonstrating their outstanding skill and leadership. 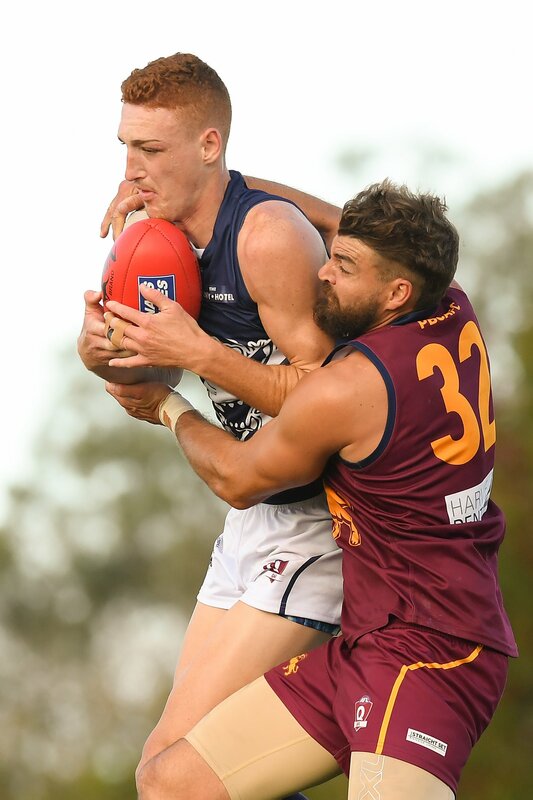 The forward line was active and the goals were well shared with Southport Listed Mitch Johnston booting 5, Jarryd Douglas(3), and Tyler Cornish (3). But perhaps the story of the day and the find of the season so far was tall teenager Caleb Graham, who was a revelation on debut. 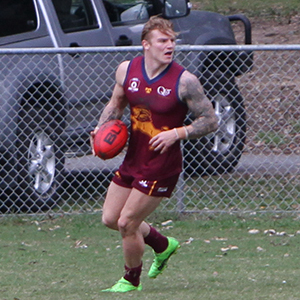 Playing ruck and forward, taking numerous one grab marks and slotting 4 goals of his own. 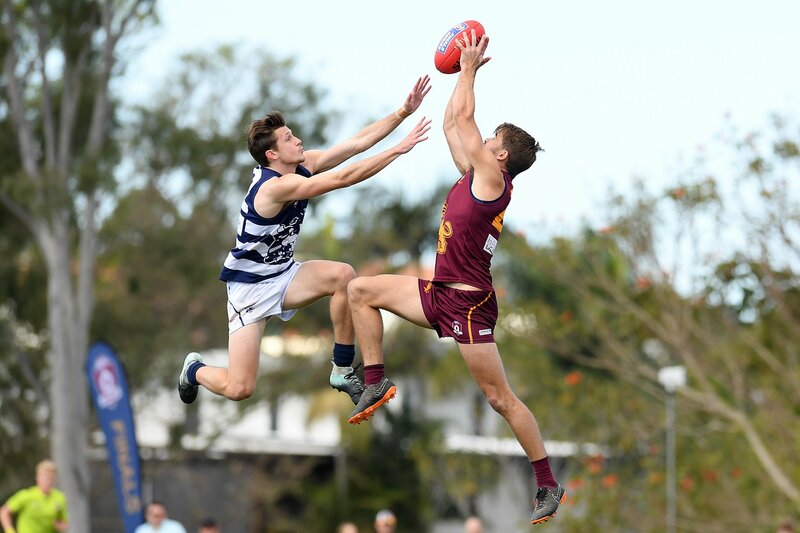 Graham, who hails from Cairns and is a member of the Gold Coast Suns Academy, is currently part of the Allies squad in the NAB U18 Championships and a performance like that will no doubt see him in contention for selection. However, he could prove a handy find for the Lions as they need some tall options moving forward. 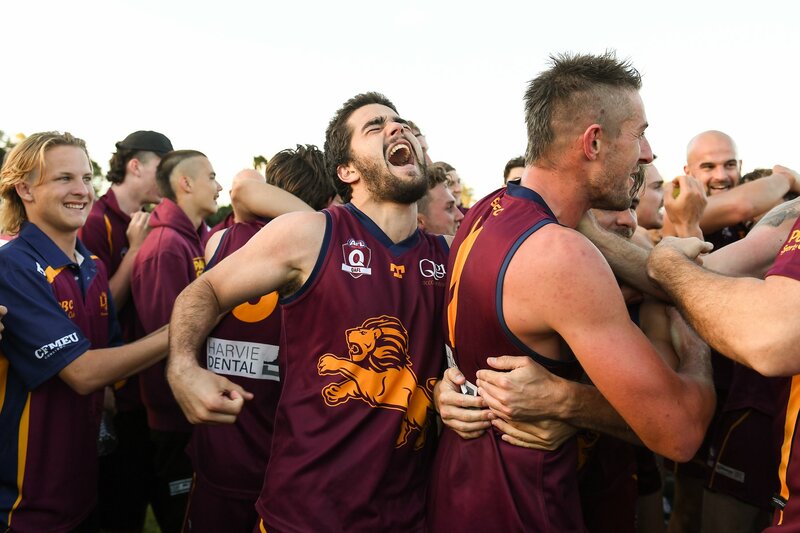 Zac Harrison continued his great from this year and with Josh Woolley, Liam McNeven and Ben Headland, was amongst the Lions best in a dominant team effort. 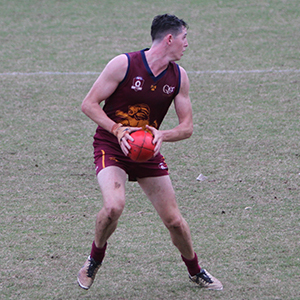 Ruckman Tom Arnold also played his best game so far for the Lions. Coach Chad Owens was particularly pleased with the 4 quarter effort and praised it as the Lions best performance of the year to date. The Reserves and Colts also accounted for their Magpie opponents in a strong showing for PBC in front of the 2007 Premiership Players. 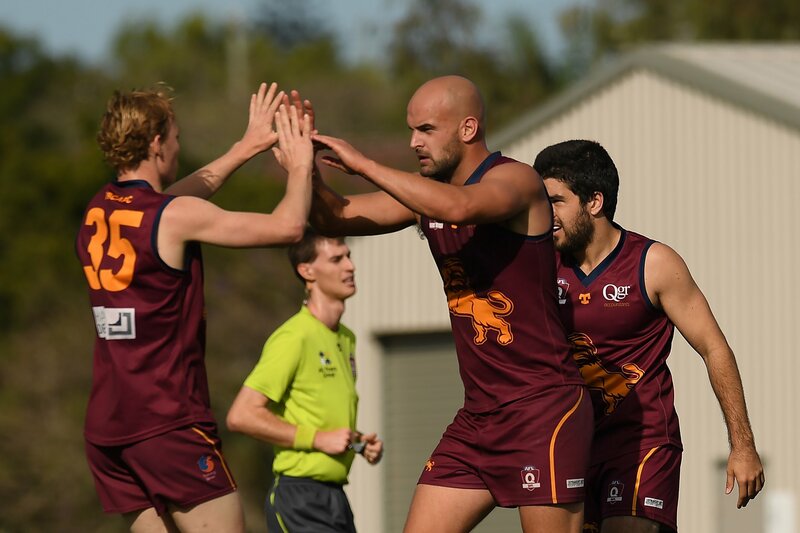 The Lions who have tightened their grip on second spot will take on Broadbeach, who sit third on the ladder, at Broadbeach next week. 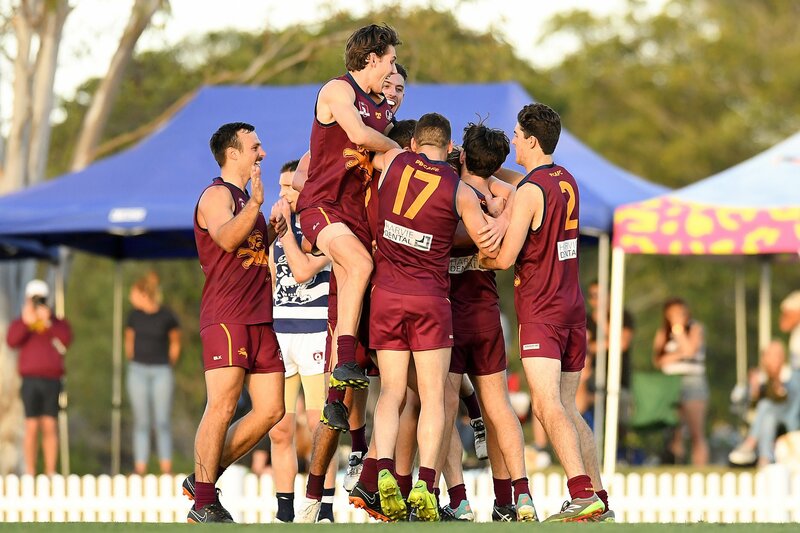 Broadbeach will be looking to bounce back after an unexpected draw against Sandgate. So the Lions will need to be at their best again! 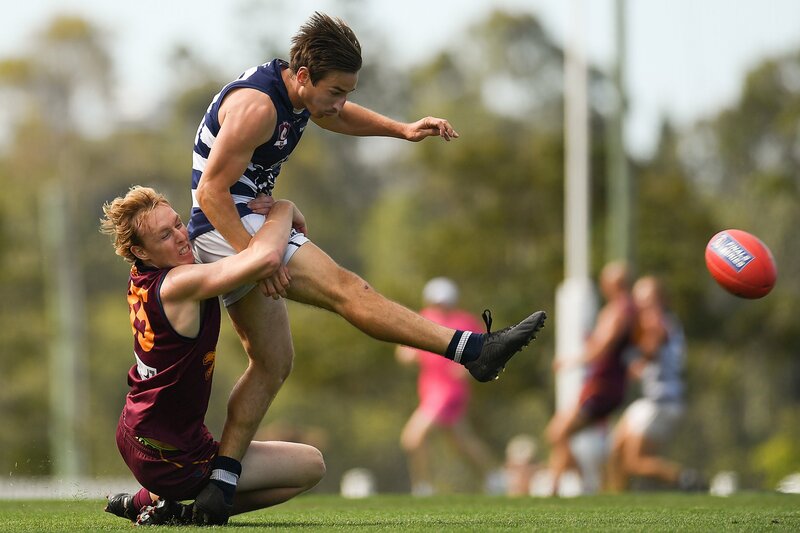 but soured somewhat by a serious knee injury to young gun Josh Lys. He will be sorely missed on the field with his aggression and team first attitude. The game is won and lost in the middle and we won that battle convincingly. Tom Arnold played his best game and Jake Dignan was very clean with his hands and tackling pressure. 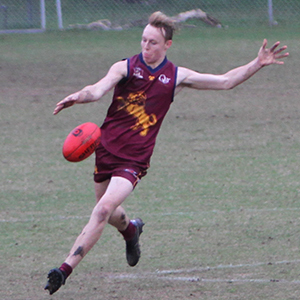 Jason Burge continued his outstanding season with his decision making and disposal. Down back the boys were very disciplined and strong with their defensive mindset. Ben Headland’s great start to the year continued and Jed Harrison’s role playing has been impressive. 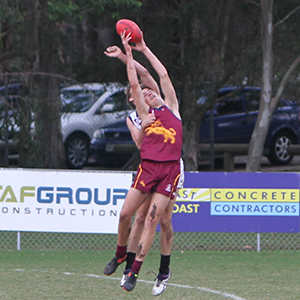 Josh Woolley provided plenty of offensive rebound and headaches for the opposition. Up forward Douglas was back to his best. Caleb Graham in his debut kicked 4 and Johnson tidied up with 5 majors. Overall it was an outstanding game where we won the inside contest and totally controlled the outside and generated many scoring shots. The commitment to the contest was terrific and selflessness of the group was clear to see. 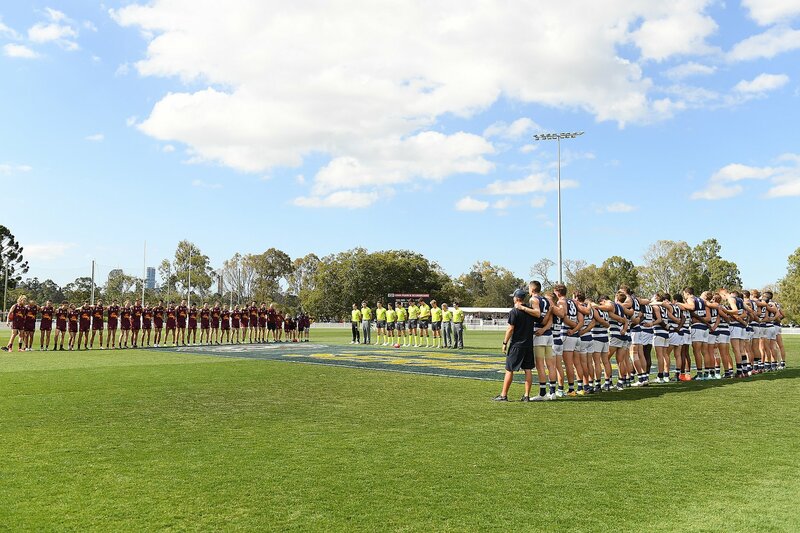 Next week we go to Broadbeach for what shaped as a great game where we will need to be at our best to win the game. Hope to see a lot of our loyal supporters there. 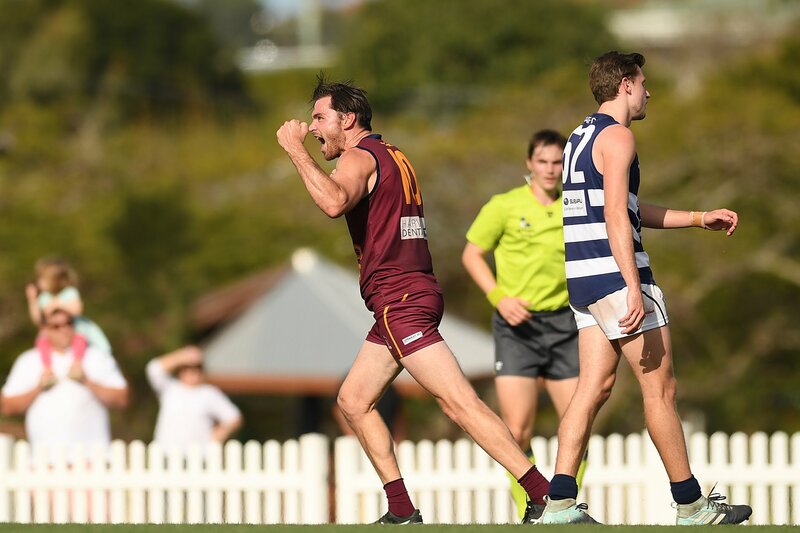 With great pre-match emphasis being placed on a fast start, our reserves leapt straight out of the blocks by having 5 goals on the board by the 10 minute mark including the first from a Tom Fraser soccer inside 11 seconds. From there we dominated the game after such a great start. 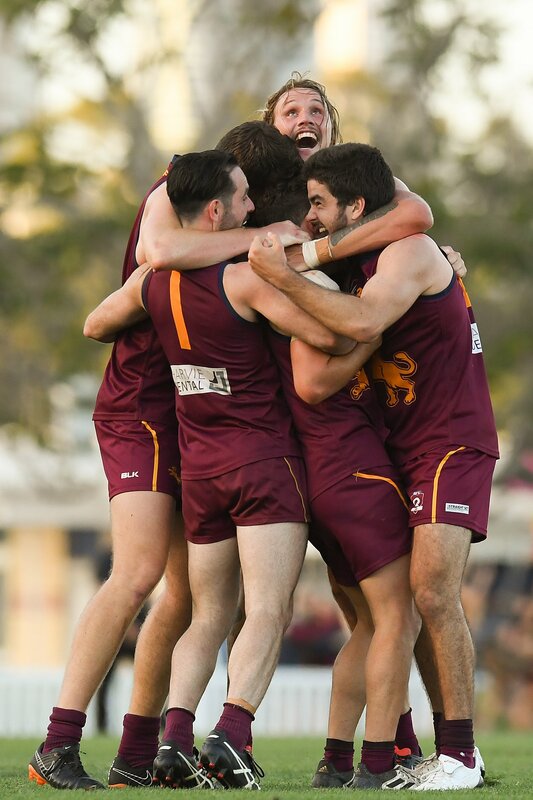 We capped the game off by kicking 5 goals to nil in the last quarter again to demonstrate our ability to run out matches. Our defensive unit limited Magpies to only 5 goals as well as providing good offensive run when in possession, the midfield brigade won first use of the ball as well as protecting the backs with a good defensive display and it was great to have our forwards hitting up at the ball carrier all day. Very welcoming to have a couple of young key forwards in Riley Mayne and Tommy Frazer stepping up . 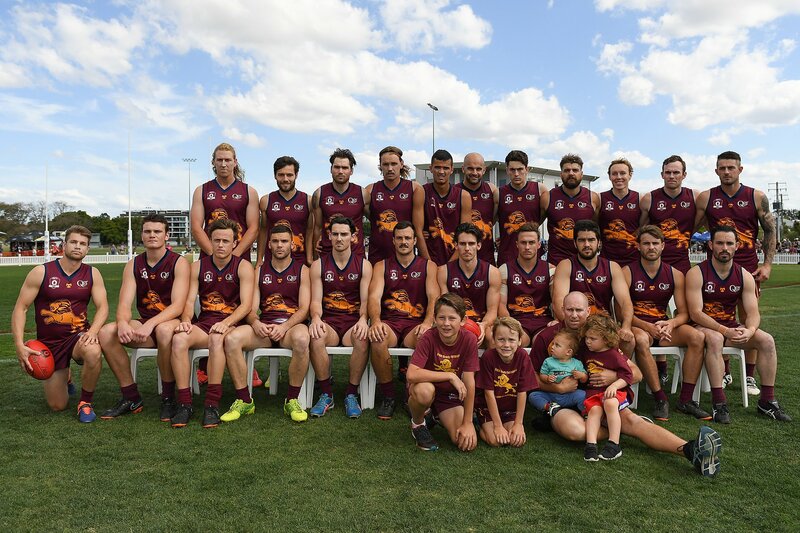 Five wins in a row and we keep building, next week away to a much improved Broadbeach, keep it up boys. 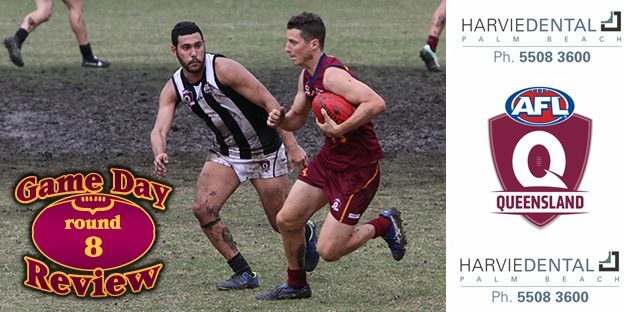 First up, welcome back Hunter Hall- our Colts Captain for 2017, who enjoyed his first game of the season. Due to breaking his foot back in March, his participation was limited to the sidelines, until now. brought to our game making a notable difference. 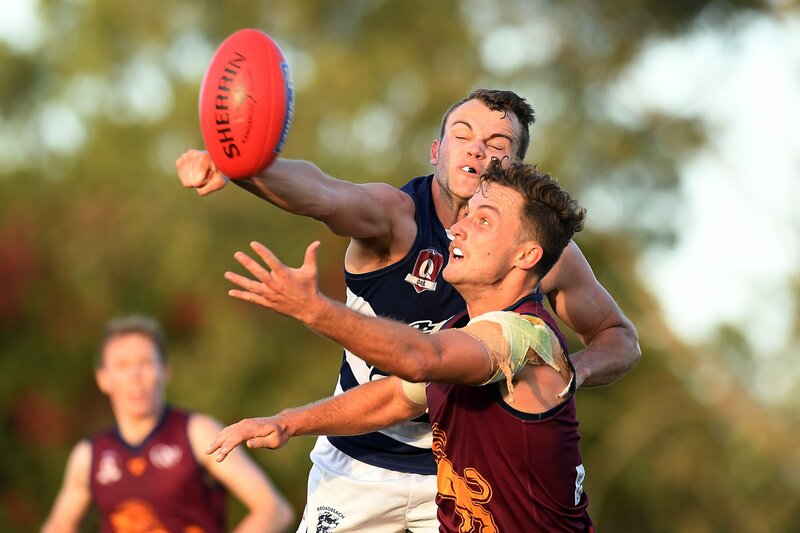 Coming off a bye the boys were well rested to take on the second placed team- Western Magpies. The boys were hungry for their first win at home for this season and proved they were switched on from the first bounce. The miserable wet conditions persisted all week but since we couldn’t cover the ground to keep it dry, we knew we were in for a hard-muddy battle. Leading the fight from the back line was Dean Katsiris; his running power through the ground had us score our first goal. 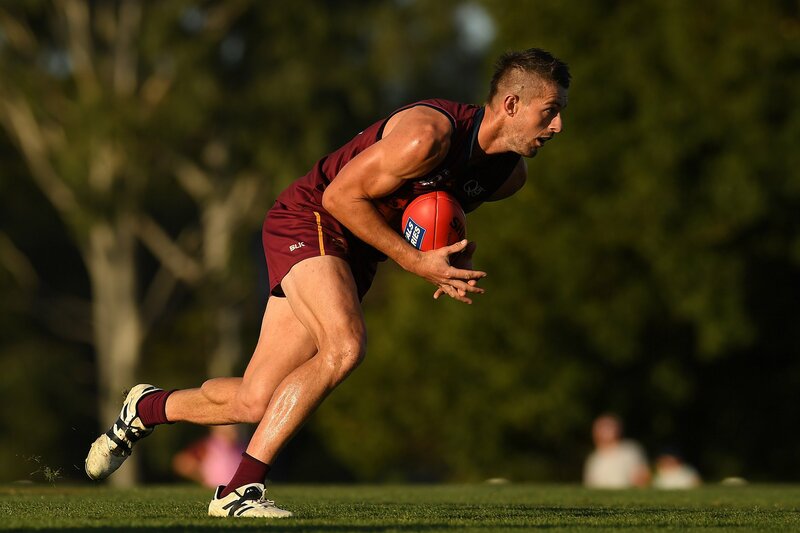 Jeremy Jago was responsible for kicking 2 goals giving us a 12 point lead at quarter time. Knowing the Western Magpies would come out fighting, I urged our players to play in front and stick tight to their players in the backline. Jimmy Cahill who has consistently demonstrated best on ground form, was tasked with tagging the number one goal kicker for the Magpies. They scored four goals in the second quarter to our two goals, but Jimmy’s contribution had immediate effect. Both our goals came from Riley Engels. Going into the half time break with a 2 point lead, we knew we had our work cut out for us in the second half of the game. Unfortunately, due to a head clash in the second quarter, Aaron Ashby was out for the rest of the match. Through his warm-up preparation for the third quarter, he realised his dizzy spells were only increasing. Our fast acting President called an ambulance and they promptly took him to hospital. He was diagnosed with having suffered a serious concussion and will be out for the next four weeks. Although his absence was disappointing to say the least, this gap presented an opportunity for others to step up. Two of which did just that, were Liam O’Brien and Ryan Suddes. 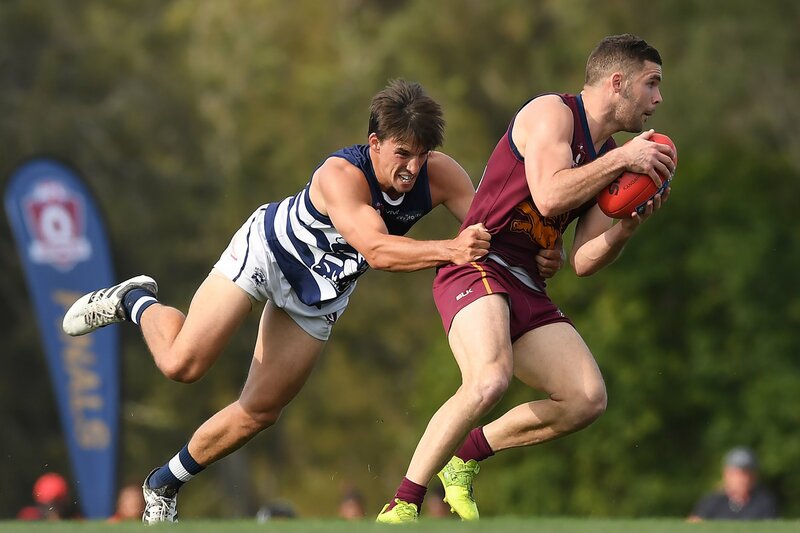 Nick Perso’s third and fourth attacks on the football inspired our boys to lift in the third quarter when the Western Magpies started putting on some pressure. Both teams added two more goals to this quarter; ours were from Jeht Wollington and Tom Woodman. 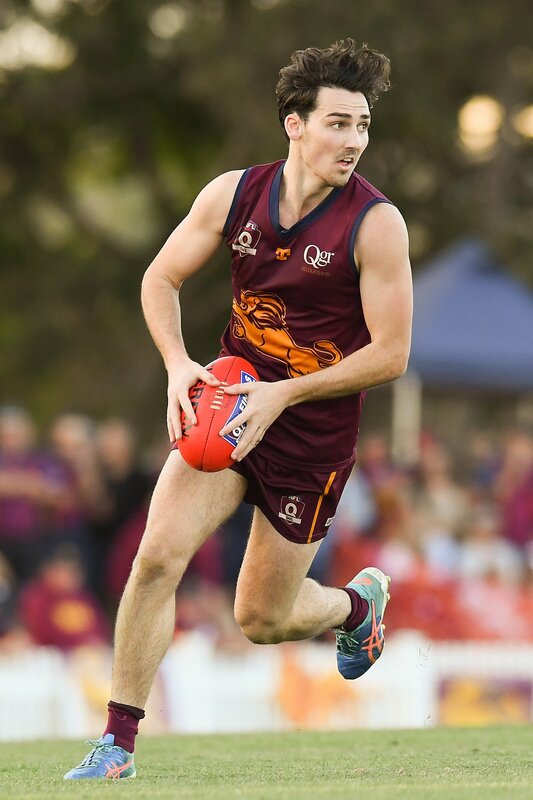 Lachlan Blackmore along with Billy Mcalister were fierce at the ball in our forward 50 which gave our small forwards opportunity but unfortunately it wasn’t converted into goals. Hunter Hall presented the third quarter speech which motivated the boys to claim our first win on home ground. True to his fighting words, he went out and kicked a goal, along with Jeremy Jago and Billy Macalister. Tyson Scheuner, Jordan Burns and Matthew Oats helped to keep the backline structure intact while the Western Magpies tried to pull back our lead with two goals of their own. Good effort by the opposition but we still managed a 9 point win!! Congratulations Colts on our first Home Ground victory. We moved up one position on the ladder and are now positioned 4th. !